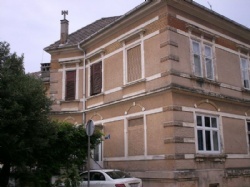 House is located in Opatija's most attractive area. 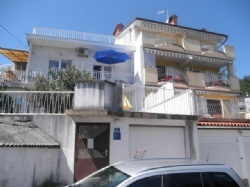 There is very few apartments for rent so close to the sea in this area. Yes you can, not only see, but hear the sea! The apartment is just 40 m away from the sea. Just cross the street and you're on lungomare (seaside promenade from Opatja to Lovran) where you can enjoy walking in the mornig sun. 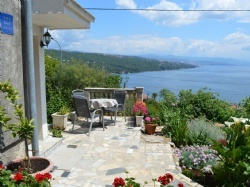 Private House with large garden and great view on kvarner bay. 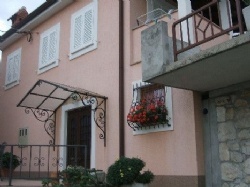 Apartment in private house situated in a quiet part of town. Villa Andreina was built on 1897 and renewed on 2002. 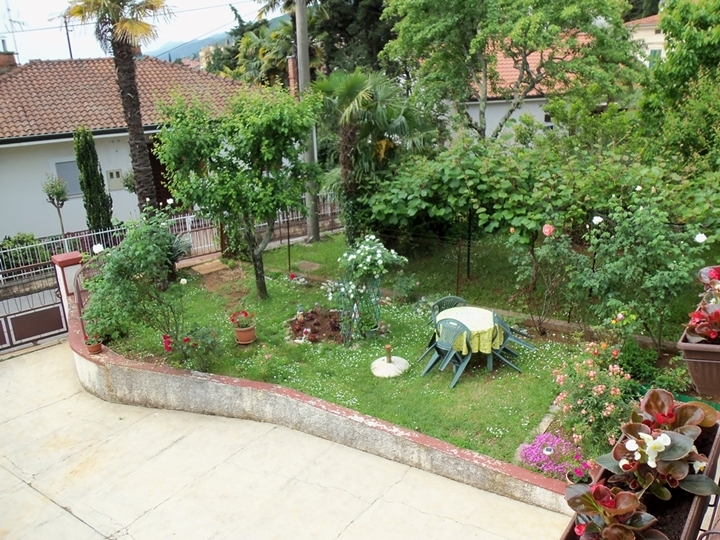 Apartment has view on the see and garden with 22 palmas, camelia, magnolia, roses, gladiolas, etc. 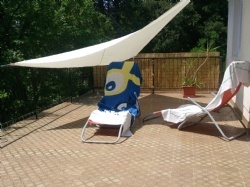 On the terrace you have table with sunumbrella. Parking is in front of the Villa Andreina. 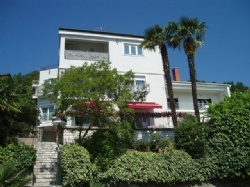 Villa is 5-7min.by walk from central beach and Opatija citycentre. 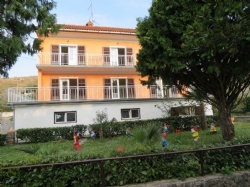 The apartment is only few minutes (50 m) from the famous promenade of Opatija (Lungomare) and main beach and near shops, bars, pubs, restaurants, park with exotic flora, open air theatre, beauty and wellness centers. We have private parking and garden grill. 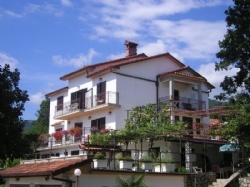 The appartmant is placed in the center of a small town Volosko 80 m from the adria sea. Volosko has a beautifull port, many restaurants and galleries. 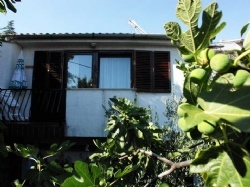 The appartmant is on the first floor, and has kitchen with dining room and livingroom , two bedrooms, bath and balcony. The appartament has also dishwasher, microwave and washing machine. Come to the sea all over the year, and enjoy the beauty and peace of mediteranean town. 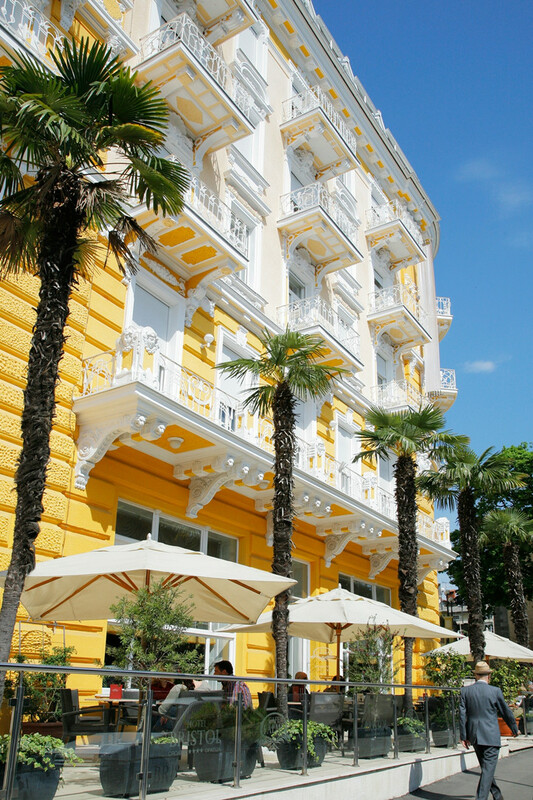 Located next to the Opatija, Icici are a known center with the high ecological award "Blue Flag ". In the center lies a large beach, also the bearer of "Blue Flag". 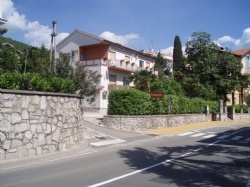 The apartments are placed in a quiet and green part of Opatija. If you come you can enjoy a splendid view of the sea and the surrounding area. 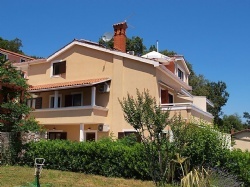 The position of the apartments enables you excursions to different destinations such as: Istria, Kvarner Riviera, the islands of Cres, Lošinj, Krk, Rab, The Plitvice Lakes National Park, The Nature Park Ucka, Gorski kotar, rafting on the rivers Kupa and Dobra and the visit to Rijeka - the centre of our region. 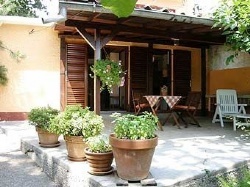 The apartment is located on the ground floor, in front of the terrace with roof and flowers, in front of the terrace is a meadow with two lawn chairs and umbrella. 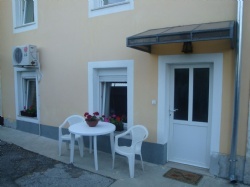 The apartment is located in a beautiful and quiet part of town. 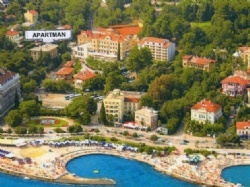 Near the sea and the promenade that stretches from Opatija to Lovran. 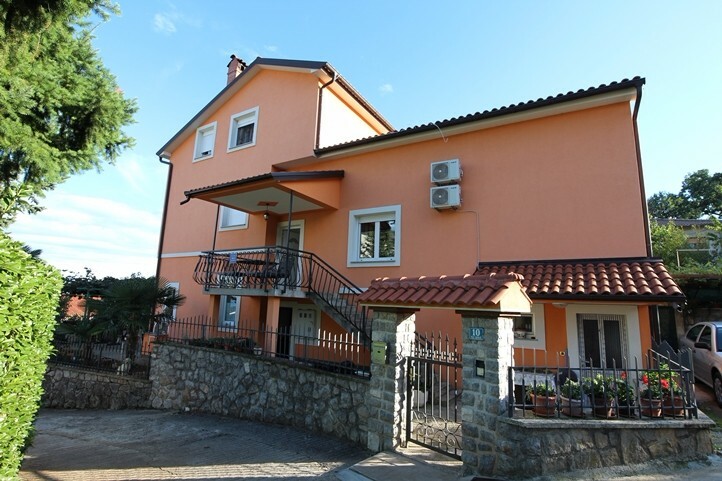 Apartment has a very good location in Lovran, only 50 m away from the center and just a few meters away from restaurant 'Delfino'. It takes only 5 minutes walking to get to the sea. 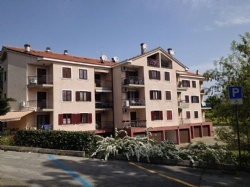 Apartment is situated on the first floor and has its own parking in front of the building. 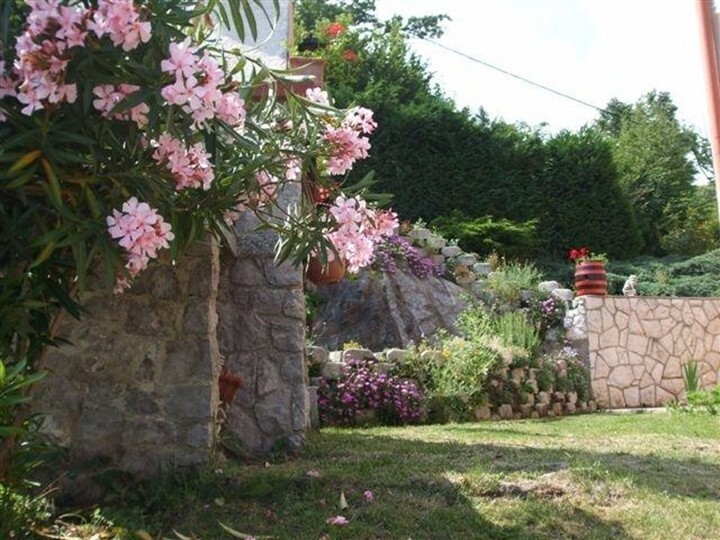 The Apartment is located near the place “Bregi”, which is well-known for its peaceful and relaxing atmosphere. Therefore, a lot of internationals choose the connection between the Adria See and National Park Ucka as a perfect place for their holidays. The place Bregi is located near the National park “Ucka”, which is very famous for its hiking routes and also for its unique biking roads which have a total length of 130 km. Therefore, it is a perfect place to relax and enjoy the nature, but on the other hand also to do some recreations and sports. 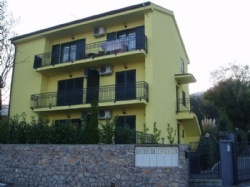 The apartment is located in the downtown of the place Ika on the main “Primorska” Street. 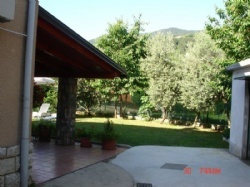 It is perfect for the accommodation of families, friends and couples. Furthermore, it is only 50 m away from the beach and few meters away the very famous walking route “Lungo Mare”, which connects Opatija and Lovran. It is a perfect opportunity for night romantic walks or on the other hand, for a daily family walk to the beach. If you decided to spend your holidays in Opatija and enjoy the unspoiled nature, without undue stress, clean water, beautiful beaches, excellent cuisine, apartments and rooms are the right place for you. New house,de-luxe suites, air conditioning, heating, parking under lock, sea view, garden is very nicely decorated. 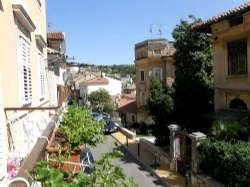 The apartment is in an renovated old villa at the town center, on main street, 50 m from the market. 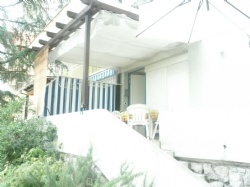 Near the entrance of the park Angiolina, walking distance to the nearest beach is 200 m. It consists of: living room, 2 bedrooms, kitchen, bathroom and large balcony. 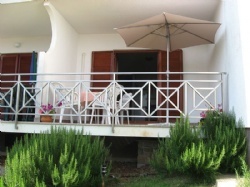 Apartment with large balcony, which offers stunning view of the sea and nearby islands. The apartment bedrooms are with double bed with bathroom, kitchen and living room where the sofa bed. The possibility of free parking and barbecue (on request). 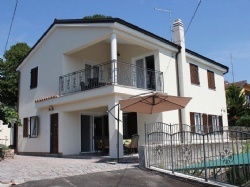 High-ground floor newly refurbished family house surrounded with garden greenary, close to the center,with a huge terrace overlooking the magnificent view of Opatija and its surroundings. *** studio apartment, located on the second floor of a building with several other apartments, not more then 5 minutes from the first beach. 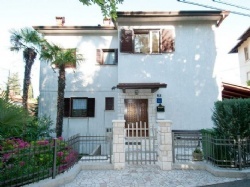 Beautiful apartment is located within a detached house in the most beautiful part of town called Kosićevo. 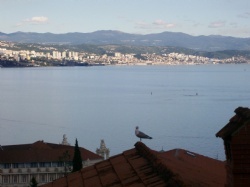 From apartment you can see the whole Kvarner bay with islands of Krk and Creso. House is surrounded by Mediterranean vegetation, which allows guests a memorable holiday moments with the birds chirping. The building where is the apartment is a duplex - a building with two entrances - three floors in each entry five dwellings. In front of the building is a parking for 10-12 cars partially covered for protection from the sun. The house is located 300 meters from the beach and ACI marina and 350 m from the center of Icici, market, bus station and post office. 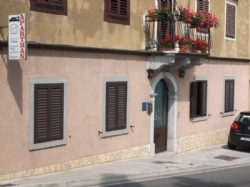 The apartment is in a completely renovated small old stone mansion built in the early 19th century (ex Villa Moravia). 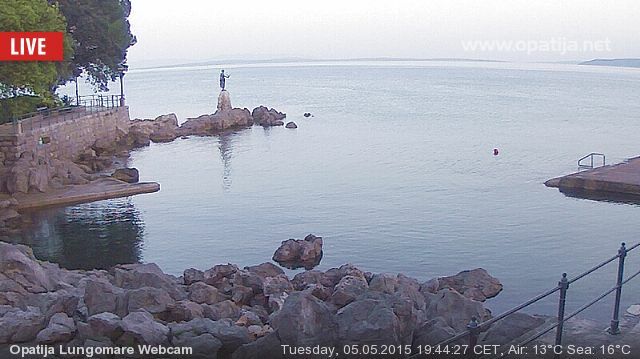 Just a few minutes walk from the famous promenade in Opatija "Lungo mare" and beach Tomaševac (Blue Flag). In the center lies a large beach, also holder of the Blue Flag. Nearby you will find shops, bars, restaurants, botanical garden, a summer theater, tennis courts, beauty and wellness centers. 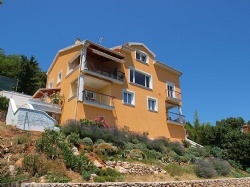 The house is located in a quiet and green part of Lovran which provides a breathtaking view of the bay and the islands of Cres and Krk. 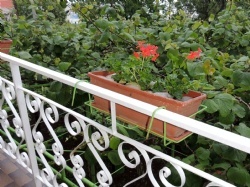 The apartment is located in a family house in front of the apartment is parking, terrace with table, two chairs, umbrella, lots of flowers and greenery. 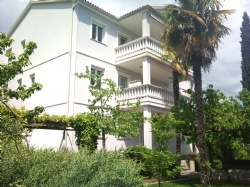 The apartments are located in the center of Mošćenička Draga. Because of the silence and stillness of the place is always possible to find peace and freedom, and a handful of additional facilities which can be found in the center itself. All the major object which are necessary for modern life are 2-5 minutes away from the apartment, including the sea which is 2 minutes walking. New modern apartment (building 2012., Air conditioning, LCD TV, satellite, WiFi) in the city center with a large terrace, separate entrance and parking space close to the promenade and the beaches (150 m) with all amenities. Exclusive location! 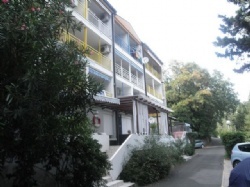 Small apartament in the very center of Opatija next to Astoria hotel. Appropriate for two persons or a couple with a child. See in 50 meters only! 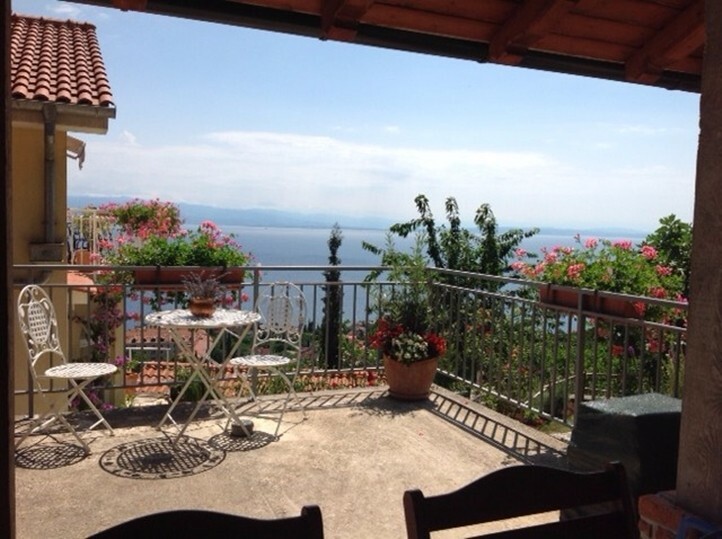 Moscenicka Draga is a small village near Opatija, situated in the northern part of the Kvarner Bay. It is a small fishing village located below the hill where there is Mošćenice by which the town was named in contact with the beloved sea. 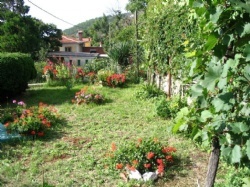 The family house is located in Volosko near the sea in a quiet area surrounded by greenery. 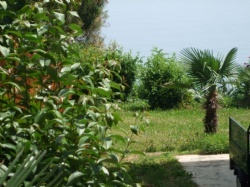 The apartment is located in Ika, surrounded by greenery and quiet place near the beautiful Opatija. Near the beach, promenade "Lungo mare" and trade. 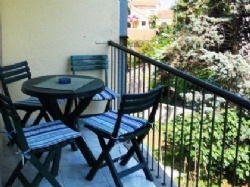 The apartment is located in a family home with a beautiful terrace and a private parking space. 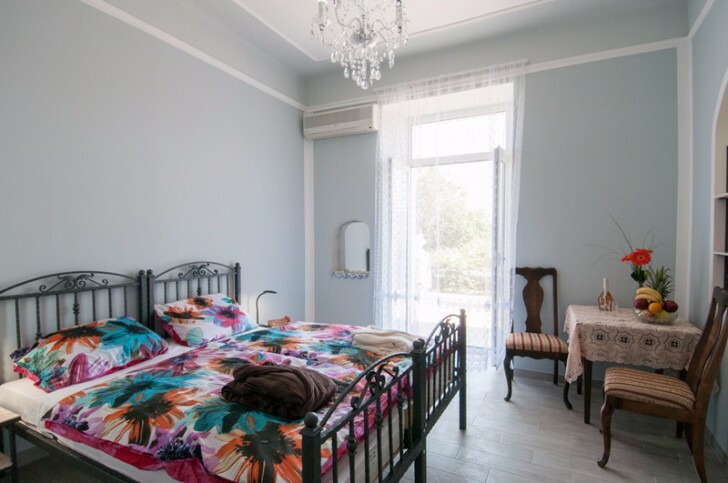 The apartment is newly decorated,62m2,on two floors,downstairs is the kitchen with living room where is the sofa bed and terrace in front of entrance,and on the first flooris one double room,one single room andbathroom. This property is a 18-minute walk from the beach. 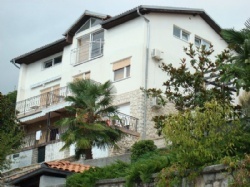 Located 1.9 km from Opatija and 11.3 km from Rijeka, Penthouse Apartment offers accommodations in Matulji. 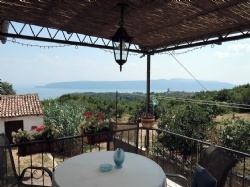 The property features views of the sea and is 33.8 km from Rabac. Free private parking is available on site. 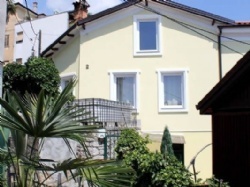 Apartment Vesna is sitauted on the ground floor of the family house Strcic. Apartment is surrounded by green surface. 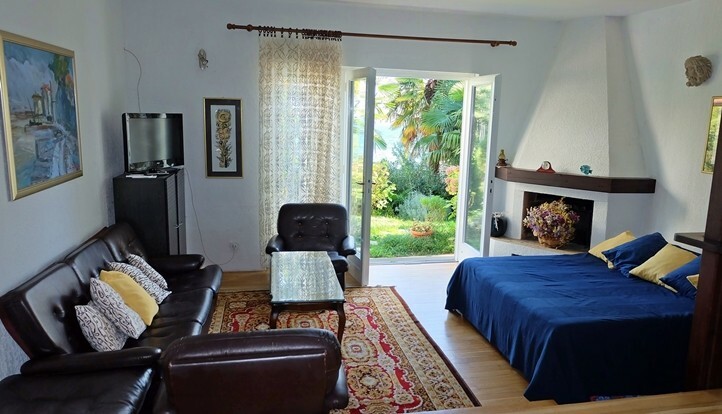 The apartment is situated on famous Riviera Opatija, surrounded by mediterranean plants, with a view to the Quarner bay and islands Krk and Cres. We will help our dear guests to get know with this area because, besides swimming, they have a possibility of active vacation (promenade along the seaside, tennis courts, scuba-diving centre and mountain trail over the Nature park Učka). 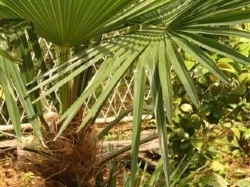 Our villa is located in the center of Icici surrounded by green palm trees. The ground floor apartments have a separate entrance and in front there is a covered terrace with barbecue, which is available for our guests. Parking for our guests is free of charge. In the entire villa there is free WI-FI.Main beach is located 2 minutes walk from the house and it is also the best equipped beach and one of the most beautiful in the area confirmed by its blue flag. 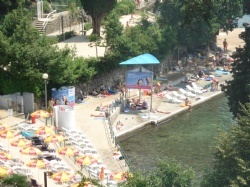 Icici is connected promenade along the coast to nearby towns such as Opatija, Volosko, Ika, Lovran .. 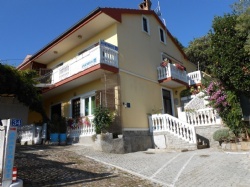 The apartment is located in the center of Lovran in a quiet location.The apartment is located 50m from the beach. Near the rocky and concrete beach. Also near the beach for children is as well beach for pets. From Lovran to Opatija and on disposal is walking promenade (Franz Joseph), where you can enjoy a stroll and breathe in the fresh Mediterranean air. 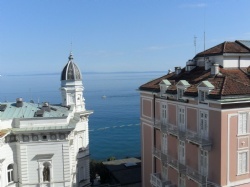 The apartment is located in Icici, distance from Palz 100m, on the first floor with a balcony overlooking the sea. 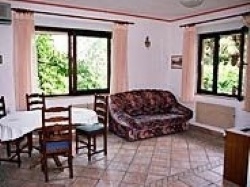 Holiday House is located in Lovran. It is suitable for large companies who want to have privacy and comfort. 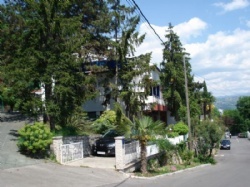 "Apartments Lucija are located near the center of Matulji, right above Opatija. 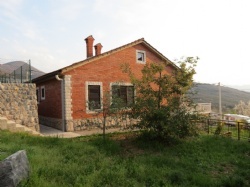 There are situated in 3 separate buildings on the parcel of 2000 m2. Long term experience in tourism, the nearness of the sea and new swimming pool (built in 2013), are guaranty of relaxing holiday. 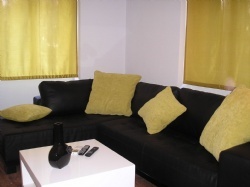 All apartments are fully equipped and have parking. In just 3 minutes of walk you are in center of Matulji where there are stores, bank, post office, pharmacy and so on. In neighborhood of Matulji you can go hiking, surf, ride a bicycle or just enjoy in beauty of sea and nature." 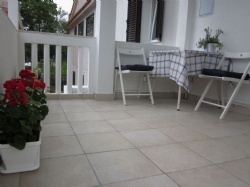 The newly renovated and fully furnished apartment located in Opatija. Not far from the city center. 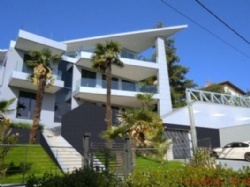 Villa Bilek is located in the center of Opatija. It is located near the sea and all within easy reach. 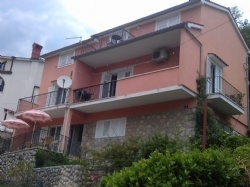 The apartments are located on the main road Rijeka-Pula in End. 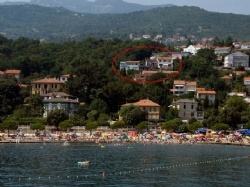 Distance from shops and restaurants, as well as the most beautiful beaches in Kvarner Mošćeničke Drage and Medveje 2,000 meters and 10 min. walking distance (500m) to the small beach at the resort. 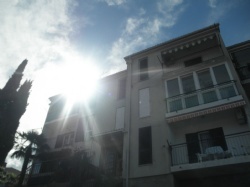 The building has three apartments with separate entrances and terraces, parking lots and free. 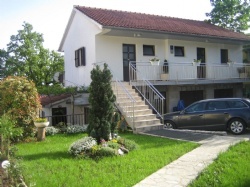 The apartment is located in a family house in Brseč surrounded by greenery and gardens. It is a spacious double bedroom, kitchen, bathroom and living room with two extra beds, from which there is access to a spacious terrace. Guests have parking. 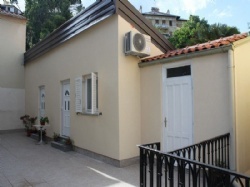 The newly built house is located in the center of Opatija. The facility is located 100m from the center. For rent is an apartment 1/2 +2 and room 1/2. The apartment is on the ground floor, the rooms upstairs. The view of the sea, the beach and the bay. 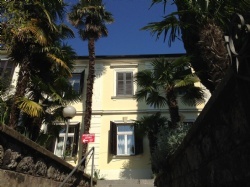 Glasnovic Apartments are located in the center of Opatija. 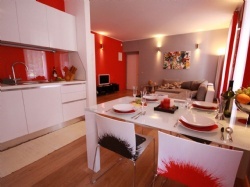 On the first floor, luxuriously furnished modern apartments offer guests wonderful Mediterranean atmosphere. 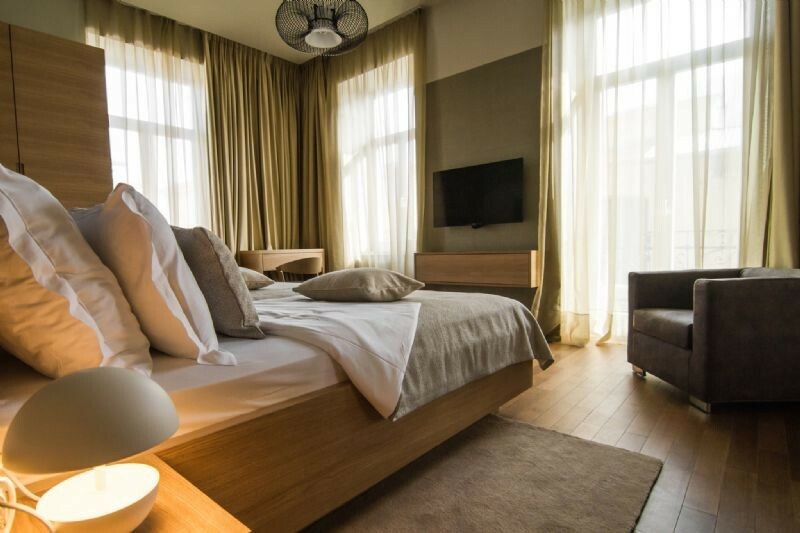 Apartment for two persons can be assigned to one of the larger suites, enabling the accommodation for 6 +2 persons. 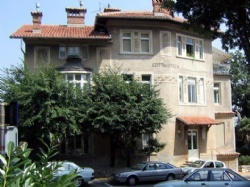 The Apartment is located in the center of Opatija, on the Address dr. Maxa Josepha Ortela 11 Street. The one room Apartment has also a mini kitchen (Stove with two disks and Refrigerator), Toilet with shower and washing machine. The room is equipped with a double bed, dining table, in addition there is also free SAT-TV and Wi-Fi. 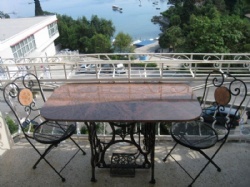 The terrace (28m2), has a beautiful See view and also a view on the cities of Opatija and Rijeka.